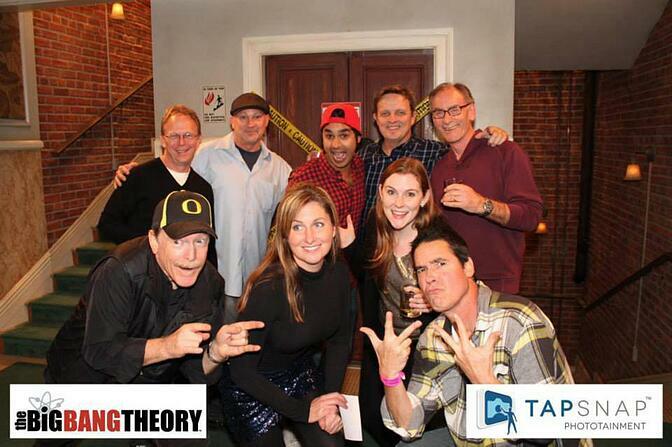 The cast and crew of CBS’s The Big Bang Theory celebrated the Holiday season at their staff party on December 15th and invited TapSnap along to capture photos of all the fun! Set up in the infamous hallway of Sheldon, Leonard, and Penny’s apartment, the show's crew celebrated their 9th Holiday season together. Cast members including Kaley Cuoco, who plays Penny, and Kunal Nayyar, who plays Raj, hammed it up in front of the TapSnap camera. Along with the show's cast and crew, other Hollywood celebrities like Malin Akerman also stopped by to take some social snaps at the TapSnap photo booth. Check out all of the pics over on our Facebook page, and leave a comment under your favourite photos!